The number of podcast listeners grew by multiple folds from year 2014 to 2019 and will grow furthermore for the next three years. 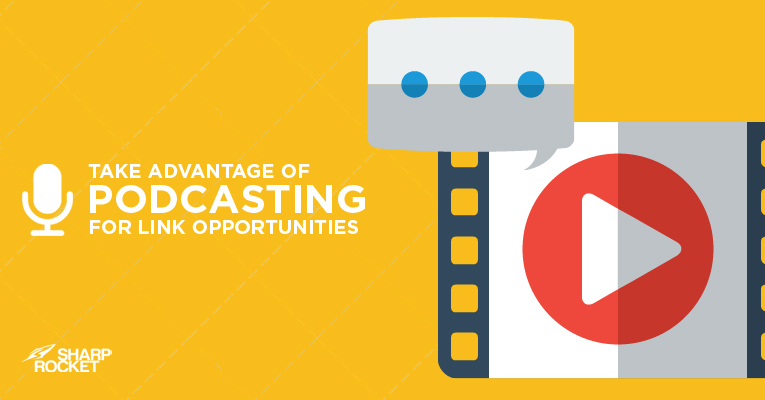 With this demand, any brand today cannot simply overlook this popular form of media. There are a variety of industries where many podcasts are now flourishing, ranging from health, technology, and even link building. Before jumping into the execution of the campaign, it’s very important to know the “whys” before you can do properly your strategy. Provides opportunities to directly connect to a target audience using the voice of a brand personality. In podcasting, there are two approaches you can choose: either start or host a podcast show in your niche or become a guest for niche podcasts. The first option requires different resources to begin a podcast show that is worth listening to. These may include budget for podcast tools, and contact lists for possible guests of the show. Meanwhile, becoming a guest for niche podcasts is cost-efficient. Production of the podcast show is covered by the host; the guest would only need to prepare for the interview and promote the output audio content to his followers. However, there is still some legwork one has to be prepared for. Finding a podcast where you’ll become a guest is crucial as you don’t want to be associated with any communities that aren’t aligned with your brand goals. If you’re in the cooking niche and are reaching out to a podcast host that guests any subject matter experts from different industries, you are deviating from the true value of podcast guesting – getting more visibility and brand awareness for your target customers. You’ve got to find hosting podcasts that are within your industry and/or targeting your audience. A Google-like related search in iTunes can help you discover categorized podcasts. Given that iTunes has strict approval guidelines for audio content shows, you’ll be able to ensure that some industry podcasts located in it are worth reaching out to. You can use an advanced search operator: inurl to quickly find podcasts related in your niche. When doing a research, it is best to have a spreadsheet at hand so you can collect the details of the podcast, which include the name of the show and host, and contact information (i.e. contact form on the website). You also have to make a note if the podcast has entertained guests in its show, which gives you an idea if it’s worth pitching to. If the website hosting the podcast specifies an estimated number of listeners, you can include this small detail in your Remarks column. Remember to find contact information of the podcast, preferably contact details of the person hosting it. Identifying which podcast you want to become a guest for interview certainly depends on factors you’ll personally consider. 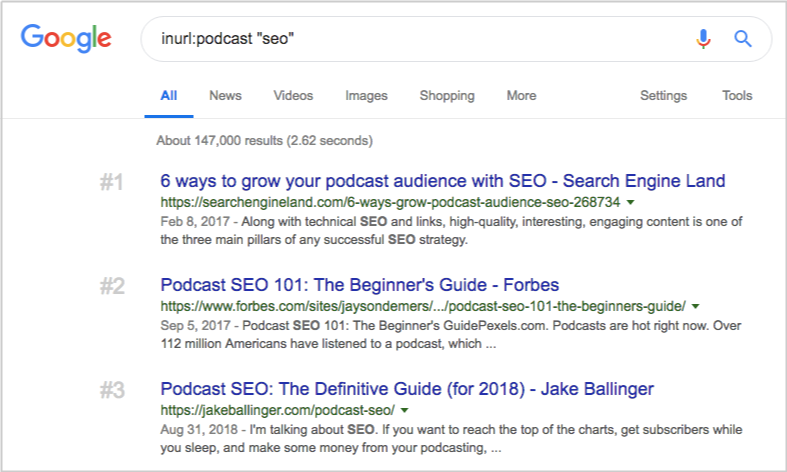 Besides relevance of the podcast to your brand which should be the topmost priority, you should consider other factors (primarily link building factors). The hosting blog or website of the podcast. For link building purposes, podcast shows should be published on the hosting website with links to external sources. Wide range of topics being covered on the show. Topics that are too narrow or too broad may be misfit to your branding. Visible promotion for the show. 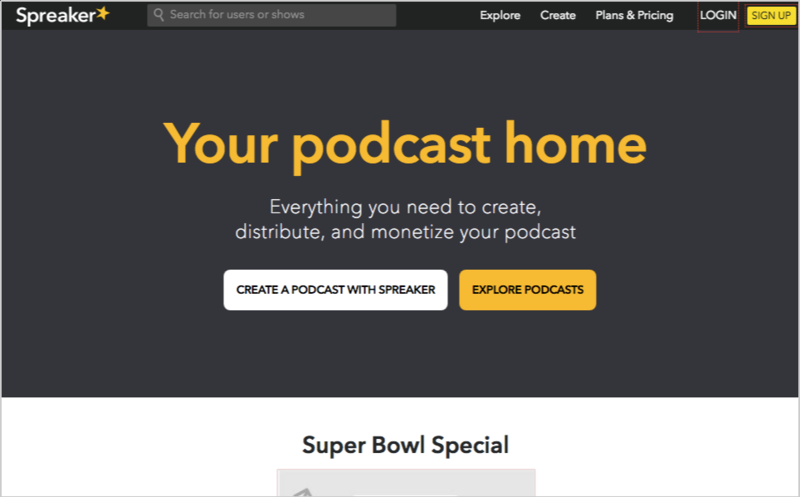 You can easily check how they market their podcast episodes by looking at the hosting website. Do they have links to social media websites, references and websites of guests either below their audio files or embedded on transcripts? Quantity of influence on social and email subscribers. These factors may require efforts to discover, but if they’ve been checked can help you prioritize highly influenced podcast shows. The best way to approach the host of a podcast is to first ask yourself value you can give to their audience. Value includes your industry expertise and credibility that can definitely bring substance to the show. You may indicate the list of specific topics (not more than three) that you want to cover. Another value may include your own set of influence, a good array of email subscribers and social followers readily available to promote their podcast show. These details can be highlighted in your outreach pitch to make it more appealing to host recipients and to increase the chances of becoming a interview guest. I love the new brand image for Search Engine Nerds! I was recently listening to Loren Baker on his link building strategies and noticed he gave me a shout out. Thanks! Would you be interested in featuring me in an upcoming podcast? I’d be happy to send additional topics. I would really love an opportunity to work together. Please email me back if you’re interested in collaborating. Thanks, Danny! It’s not just enough to become a guest on the show and wait for the hosting party to promote it by themselves. Take considerable effort to promote it your way. You may, for example, repurpose the podcast episode (audio file) into other content markets. You can write about the experience, include additional insights and experiences and publish it as your own blog post. Share the audio output in your social networks, email subscribers and followers. In thinking of a new link building strategy for your client or your website, it’s important to be aware of industry trends and in digital marketing, in general. When you take advantage of huge jumps in opportunities, it’ would help you scale manually-built links and organic backlinks for your website.